Home Fence Planning	Does Rust Affect Fence Integrity? Rust is a natural and unpreventable reaction to wire fence. At the core of the steel alloy is iron. When it’s exposed to the elements (water and oxygen) over a long period of time, the iron changes at the molecular level. The resulting compound is called iron oxide. Corrosion, or rust, weakens the affected steel. Eventually, the iron in the steel compound will oxidize completely, causing failure. The process is accelerated in areas where the air quality is affected by severe weather, moisture or pollution. The rust process is gradual and can be slowed considerably with the addition of a coating on the wire. During the manufacturing process, all wire used for Red Brand fence goes through a process called galvanization. The wire is immersed in a bath of molten zinc, which forms a protective barrier around the wire. Zinc is considered to be a ‘sacrificial’ element, as it will be consumed first. Not until the zinc begins to wear will the exposed metal rust. This, however, does not mean fence failure. Only the metal directly exposed to the elements will rust. Therefore, it can take many years for the deterioration to cause the fence to break. The life of a fence can be prolonged by the amount of zinc coating applied to the wire. Typically, a wire with no coating will show signs of rust within just a week or two of exposure. That’s why Red Brand galvanizes all of its products. The more zinc coating on the wire, the longer it will protect the steel. The thickness, or class, of coating will help determine the life of the fence. To assure high-quality, reliable performance, Red Brand adheres to strict industry standards. Our blog on the galvanization process explains the different classes, or thicknesses, available. In most cases, Red Brand fence can be expected to last 20-30 years when properly installed in normal conditions. But, it has been known to survive 50-60 years or more! 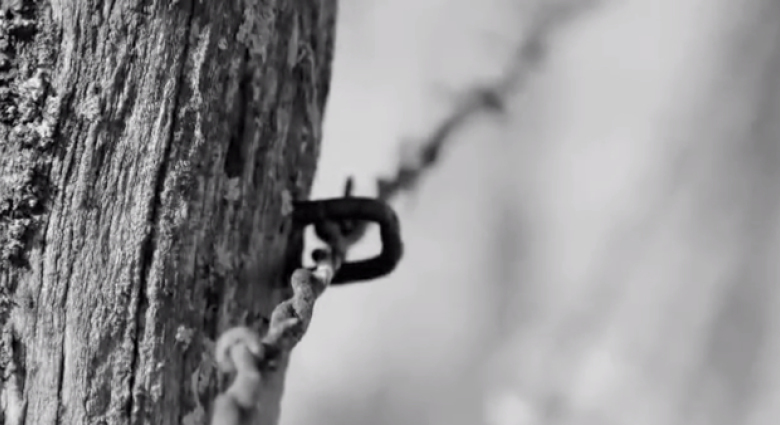 In this video, David Hill shows off the Red Brand fence he helped his dad build in 1933. In conclusion, Red Brand products are galvanized with a zinc coating that will oxidize first, protecting the steel beneath. Eventually, the zinc is used up and the fence will rust. Rust does not necessarily mean fence failure, however. Fences with some rust are more than adequate. No matter which class you choose, your Red Brand fence is guaranteed to have a coat of galvanized zinc. This coating will protect your fence from rust, saving you both time and money that would be spent on repairs. If you have further questions, talk to your local Red Brand dealer to help select the best fence for your property.